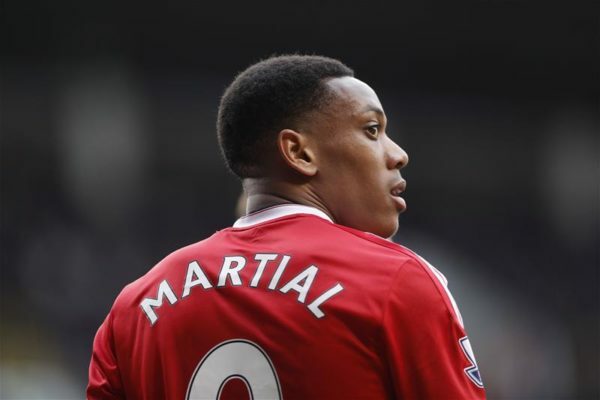 North London side Arsenal have been told to make use of the opportunity available to capture the signature of Manchester United star Antony Martial who is currently close to the exit door of the Old Trafford. With Antony Martial’s contract soon to run out at the end of next summer, United are yet to sit on the negotiation table for a new deal which makes him available and Arsenal have been backed by former player Lauren to ensure he joins the Emirates Stadium. Lauren is of the opinion that the former Monaco man remains a great player who will fit into any big team that captures him and he warns his former club not to miss the opportunity knowing that Martial will add to the strength of the team. The former Gunners stressed that it would be crazy for his side to miss out on such an important player who has the ability to win games and deliver more goals to the team. However, Arsenal are not alone in the chase for Antony Martial as German Bundesliga champions Bayern Munich, Serie A leaders Juventus and Chelsea are all interested. Meanwhile, the United management are not willing to let Antony Martial leave but Mourinho has been very critical of the player, hinting that he has no trust in him.